Are you planning to give your little girls her own beaded bracelet? Try this diy beaded bracelet suitable for beginners! Learn how to bead a flower shape motif, link them together to turn them into a bracelet, perfect for your sweet little girls. With this tutorial you’ll learn right angle weaving in circular motion, which created the flower. The number beside the letters S & B ie 1S or 1B represents the number of seed beads and/or bicones needed to string or slide into the thread. Cut 1.5m x 0.25 dia nylon thread and thread a needle at both ends.Slide in 5S and cross both threads into an S.
You have your circle of beads and your L thread and R thread. Position your beads at the center of the thread. On your L thread slide in 1B, 1S, 1B, 1S and 1B then CROSS R thread into B shown in arrow. Pull the thread. As you pull the thread PASS R into the next S shown in arrow. Continue with your L thread and slide in the following: 1S, 1B, 1S and 1B. Then CROSS R thread into the last B you just added shown in arrow. Pull the thread. Now you have 2 petals. Repeat Step 3, 3x and create your 3rd, 4th & 5th petals. After creating your 5th petal you will arrive at this stage of your beadwork. Continue with 1S and 1B on your L thread. PASS R thread into S and B shown in bracket and slide in 1S. Then CROSS R thread into the B on your L thread and pull the thread. You have now completed 1 flower. Tighten the flower by passing the thread back through the beadwork, make knots and cut off excess threads. Create as many beaded flower motif as you like. You can link the flowers by stringing seed beads from 1 petal to the other. Cut an arm span of thread. Pick 1 flower and PASS the thread into a B. String 5S on both threads. Pick up a 2nd flower and then CROSS both threads into a B from the 2nd flower. Pull the thread. Pass both threads through the S and B and come out the opposite side of the 2nd flower. CROSS into a B from the other side. String again 5S on both threads and CROSS both threads into a B from a 3rd flower. Repeat in this manner of weaving until you’ve linked the flower motifs and reach your desired length. To attach the clasp once you reach the end of your flower motif string 10S and CROSS the thread into 1S. Pass the thread back thru the seed beads and flower motifs. 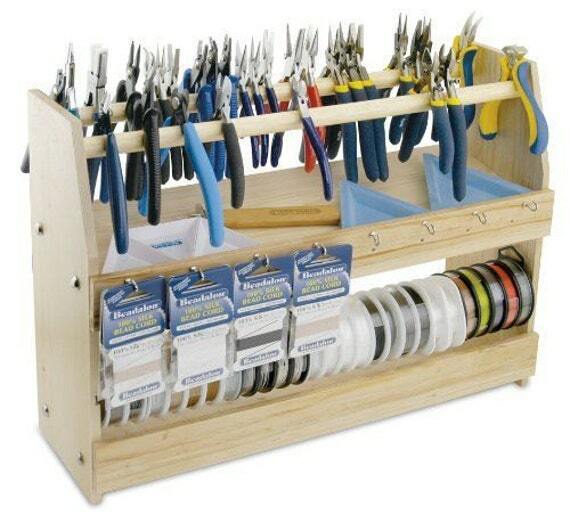 Make knots to secure and cut off excess threads. Do the same for the other end. Attach your jump rings and your chosen clasp. 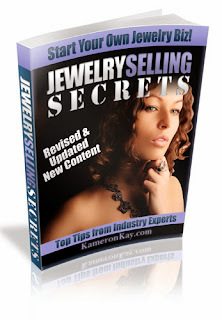 WANT TO EXPLORE MORE JEWELRY MAKING TUTORIALS? 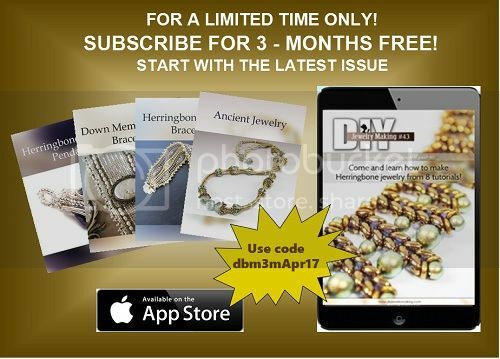 SUBSCRIBE TO ITUNES FOR FREE AND ACCESS STARTING FROM THE LATEST DIY JEWELRY MAKING MAGAZINE ISSUE!